There are a lot of different services that companies can pick and choose from to help build up their online presence and brand. However, it isn't enough to just to pick and choose between services. Companies need to know who they are hiring and the quality of work that they provide before making a final selection. 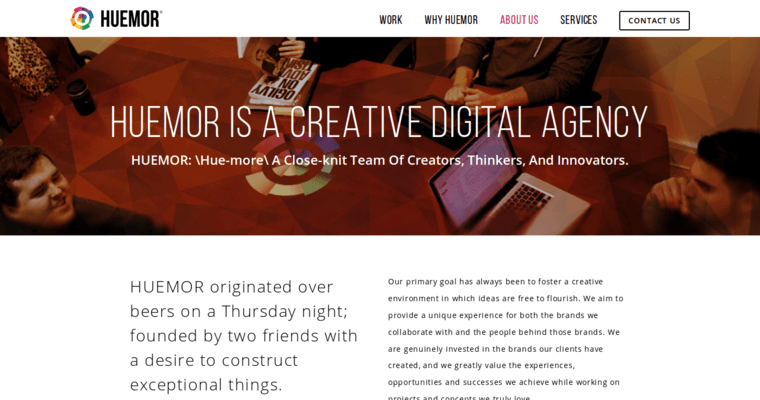 Luckily, Huemor Designs have some of the best people in the industry working for them, and according to all of their past and present clients, Huemor Designs are classified as being the best PPC SEO agency, in the digital marketing industry. They have two locations that companies can find them at, and their office locations are in New York City and Pittsburgh. Their reach, however, is vast. They work with many well-known companies from all over the United States. A few of their capabilities consist of content creation, web design, web development, and conversion optimization.